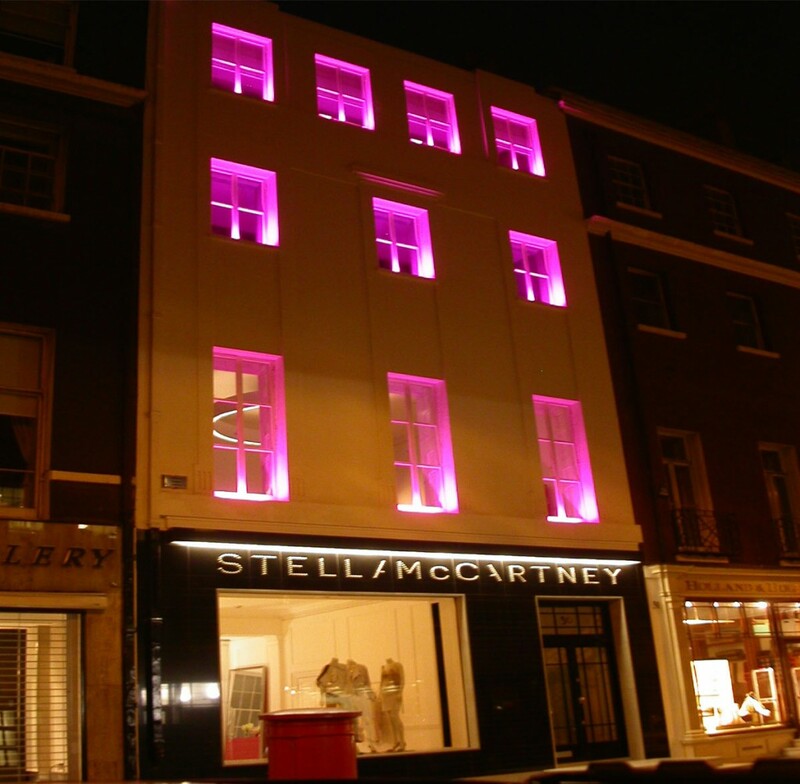 The store on Bruton Street in Mayfair was the very first for Stella McCartney, and into were assigned to create a high-impact lighting scheme to internal and external areas. Large fittings are used to create dramatic light effects, including the design of a bespoke wide circular pendant. 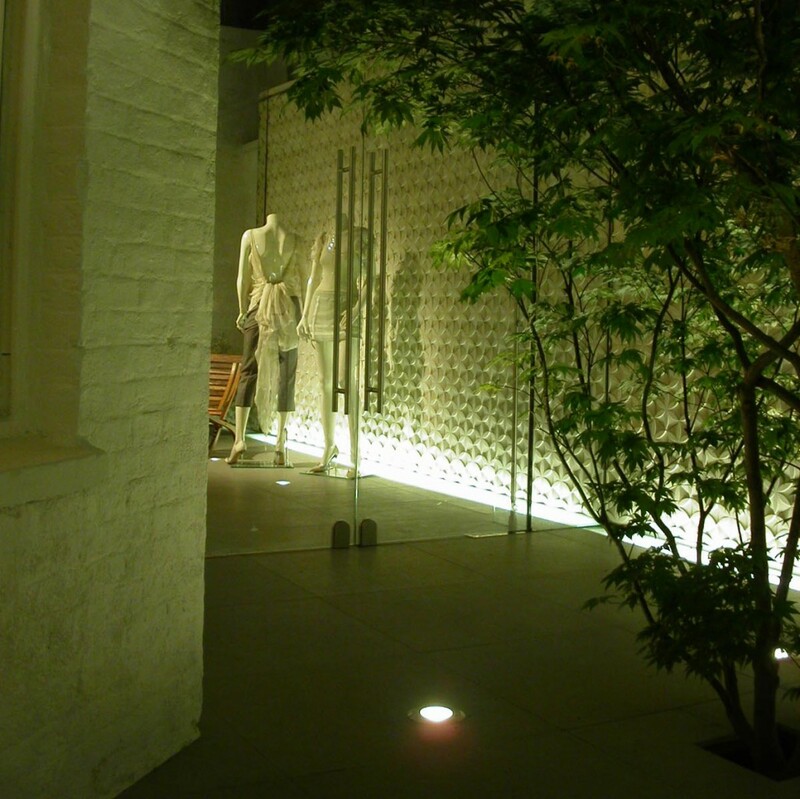 Cold cathode light sources inside produce a cool white light to match the minimal interior. Elsewhere concealed LED detailing along the top and bottom of feature walls provide subtle, warm lighting and halogen downlights finished in white are angled onto products. To create an impacting exterior to the flagship store surface mounted 600mm linear RGB LED modules are fixed externally onto each window sill and linked with DMX to the remote drivers located internally, and provide colour changing capabilities. The lighting design works in harmony with the very exclusive style of the interior to create a luxe ambience, and includes bespoke lighting by into.